Our Apex System has been touted by industry professionals as the best-value aquarium controller on the market today. This model of the Apex has Wi-Fi built-in, is easy to set up and use, includes temp, pH, ORP, and salinity monitoring with many useful and tank-saving features. Combined with the free Apex Fusion cloud service, you can check in on your aquarium from virtually anywhere in the world. It will even text you if there is a problem with your tank! The Apex is supported by a US-based support team and a large and active user base with tens of thousands of current users. If you haven’t done so already, please read our Why Apex? page to see why the Apex is so important for giving you the best chance of success and long-term health of your aquarium.Our Apex System has been touted by industry professionals as the best-value aquarium controller on the market today. 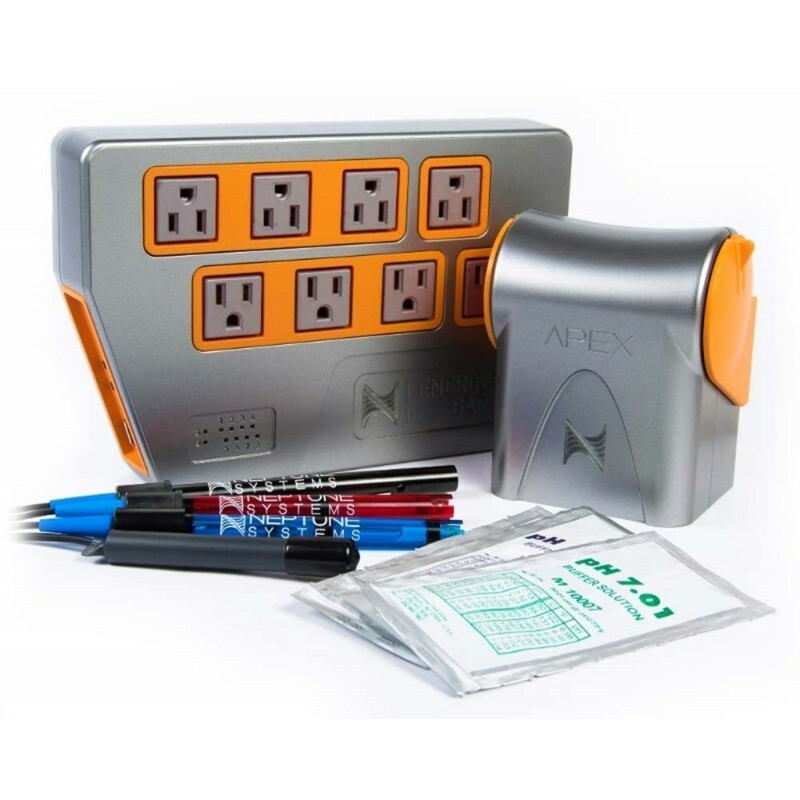 This model of the Apex has Wi-Fi built-in, is easy to set up and use, includes temp, pH, ORP, and salinity monitoring with many useful and tank-saving features. Combined with the free Apex Fusion cloud service, you can check in on your aquarium from virtually anywhere in the world. It will even text you if there is a problem with your tank! The Apex is supported by a US-based support team and a large and active user base with tens of thousands of current users. If you haven’t done so already, please read our Why Apex? page to see why the Apex is so important for giving you the best chance of success and long-term health of your aquarium.